Turning area Sunnyvale homes into dream homes through remodeling is what we do for a living every day at Mills Custom Homes. We want to help you achieve your Sunnyvale remodeling, renovations, or new addition goals so you have better space to entertain family, more space for storage, or an extra bathroom to support your family's needs. For the best customer service, top quality workmanship, and great prices on products and materials, come to our expert custom home builders at Mills Custom Homes! When you need to make changes to your San Jose home, you have many options in remodeling or renovations to choose from. When you work with San Jose remodeling contractors like our company at Mills Custom Homes, you have full services from start to finish. We start with a great design that incorporates all your goals and work from there to make sure the project is handled right. When remodeling your Sunnyvale kitchen, we can offer you any number of changes to make your kitchen more functional and appealing. Whether we'll be rearranging things like walls, layout, electric, plumbing, or other structures to give you a new or different space to live in, our experts are ready to go. Remodeling your San Jose home gives you many options for change in your home's functional space. Many popular projects for remodeling include removing walls between the kitchen and living areas, taking from one room to add to another, expanding by room additions, and more. There's nothing like living in a home with luxury bathrooms. 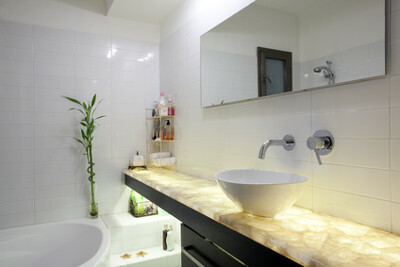 If you'd like to bring your bathroom up a notch in style and function, remodeling is your answer. Nothing can frustrate family members more than to have to share or fight over space. Whether you need a new bathroom addition or we can successfully remodel your bathroom to suit your needs, our contractors are who you're looking for to get the job done well. We'll make the changes for you with expertise and help you find the best prices for all your fixtures and building materials. Creating more living area in your home is the right thing to do when you find your space too tight and dysfunctional. Let us help you add on with a great new room addition, outdoor kitchen area, or a new upstairs playroom for the kids. No matter what type of addition you'd like to work on, our expert full service general contractor company at Mills Custom Homes has you covered from start to finish. If you are looking for a Sunnyvale remodeling contractor, call Mills Custom Homes at 408-836-6767, or fill out our online request form.